Scallop Processing - Traust Know How ltd.
We have designed and installed more than 20 complete turn-key scallop plants both for processing on land and on board fishing vessels. We have exported our plants to most of the biggest processors in Europe. 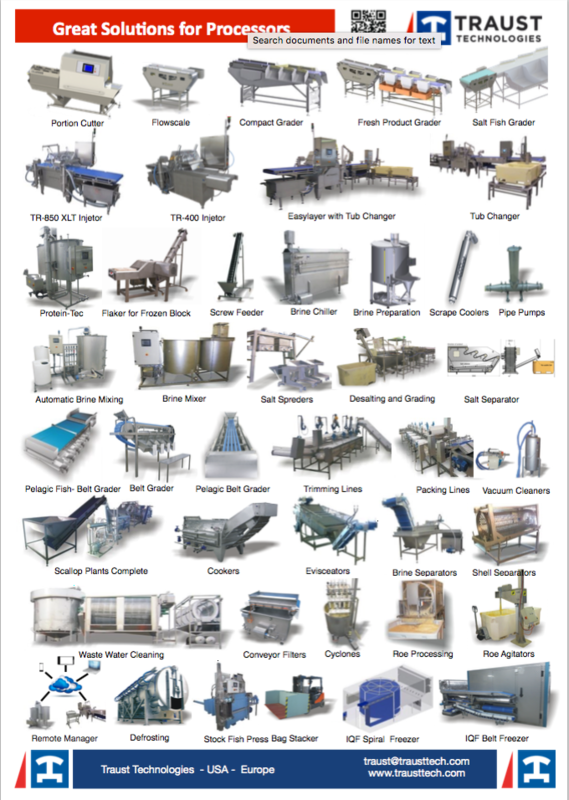 We assist our customers with installation and start-up of these processing plants. Our latest development is a new round type eviscerator for cleaning the scallop. The new machine is very different from the earlier flat bed eviscerator. The difference of this machine versus the older flat bed type is that the yield is about 10-15 % better (increasing yield from 10-12% to 12-14%). The new eviscerator take less space than the traditional one. This new type is now patented. Our firm has now sold over 20 complete turn-key scallop plants both for processing on land and on board fishing vessels. We have also assisted our customers with installation and start-up of these plants. We have developed a new round type eviscerator for cleaning the scallop. The new machine is very different from earlier flat bed eviscerator. 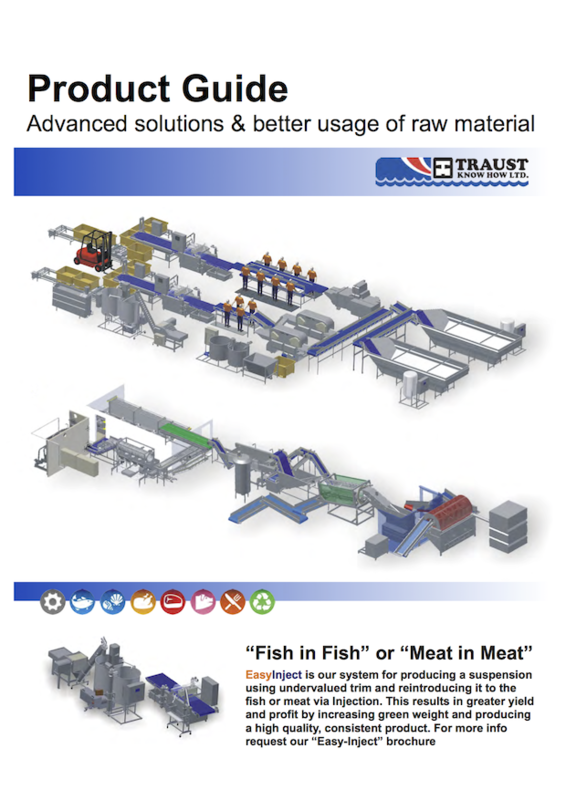 Traust-Know How ltd. recently sold a new scallop plant to a Russian scallop processing concern. Read more about Traust-Know How ltd. recently sold a new scallop plant to a Russian scallop processing concern.